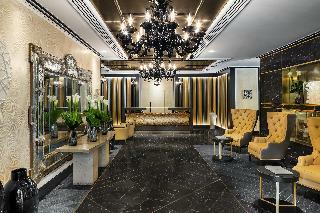 This luxurious establishment boasts a prime setting in London's city centre. Close to Kensington Palace, the property lies just a short distance away from High Street Kensington and its transport links. A wealth of shopping, dining and entertainment options can be found in the area. This hotel oozes sophistication and charm, tempting visitors into a world where luxury and tradition are combined. Stunningly-designed guest rooms ooze Italian charm and style. Guests can enjoy an invigorating workout in the fitness centre. The property also features an elegant restaurant and a lively bar, for the dining needs of discerning travellers. This charming brick hotel complex is located in the heart of London, in the immediate vicinity of the Victoria and Albert Museum, the Natural History Museum, and the renowned Harrods store, ideal to enjoy a day of shopping. Buckingham Palace is only a short underground ride away. A variety of bars and restaurants are to be found in the surrounding area, as well as boutiques, cinemas and theatres. The nearest stations are Gloucester Road and High Street Kensington. This apartment complex offers a welcoming foyer with 24-hour reception and lifts. Guests are also able to park their cars in the garage. The attractively furnished apartments and studios are air-conditioned and all come with a combined living room/ bedroom with a kitchenette and a bathroom with a hairdryer. The apartments also offer a separate bedroom. Breakfast is available to guests each morning. Grade II listed building in Kensington and Chelsea offering elegant single, double and family sized rooms. Free high-speed WiFi on unlimited devices. Scoff and Banter serves modern British cuisine using the best locally-sourced, seasonal produce. Next to iconic attractions The Natural History, Science and V and A Museums. Close to Harrods, Harvey Nichols, Royal Albert Hall and Hyde Park. Nearby Gloucester Rd station links directly to Kings Road and Sloane Square. 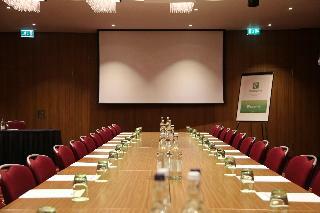 12 meeting rooms host 2-140 people. The Radisson Blu Edwardian, Vanderbilt 4 star hotel has a total of 215 bedrooms, 162 Standard rooms, 41 Deluxe King rooms, 11 Business Class rooms and 1 Deluxe Suite. Bedrooms have a warm ambiance with rich fabrics and crisp cotton bed linen. All bedrooms feature premium skincare brand REN toiletries. Bathrooms are clad with Sicilian marble for a luxurious feel. Guests can also enjoy free high-speed WiFi up to 150 mbps on an unlimited number of devices, an in-room movie library and other vital touches like complimentary bottled water, a refrigerator and online concierge service. Scoff and Banter serves a modern menu of British cuisine using only the finest locally sourced, seasonal produce for breakfast, lunch and dinner. Guest-favourites range from tasty classics like beer-battered fish and chips, shepherd's pie and Eton mess, to indulgent afternoon tea. All are served in a stylish but relaxed, home-from-home environment – whether it's in the main dining room, vibrant bar or private dining space. There are also two chef's tables for larger groups, along with an exquisite selection of wines and cocktails. 2015/2017 TripAdvisor Certificate of Excellence winner. Please provide a valid credit card upon arrival at the hotel. This elegant and modern hotel is perfectly situated in one of the most sought after areas of the Royal Borough of Kensington and Chelsea. It features a restaurant, a bar and an excellent spa area. Kensington High Street with its fashionable shops is just 2 minutes away; attractions such as Kensington Gardens, Royal Albert Hall, Earl's Court or Princess Diana Memorial Playground are within a short stroll. 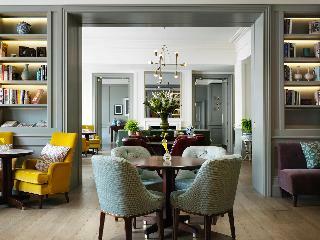 This hotel is located in London, boasting an enviable setting in the district of Chelsea and Kensington. The hotel is located just a short distance away from the financial district of the city, Earl's Court and the Olympic Exhibition halls. This hotel lies just a 2 minutes' walking distance from Gloucester Road underground station. The hotel offers a great location from which to explore the High Street area of Kensington, the National History Museum, the London Eye, the Royal Albert Hall and Harrods. This wonderful hotel enjoys a delightful architectural design. The guest rooms are beautifully appointed, offering a luxurious setting in which to unwind. The hotel also features a range of excellent facilities, meeting the needs of every type of traveller. 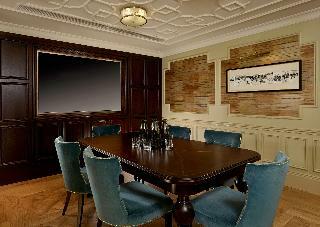 Steeped in culture and elegance, this hotel enjoys a superb location in London. The hotel is situated just a short distance away from the Victoria and Albert Museum, the Serpentine Gallery, the Science Museum and Hyde Park. The Natural History Museum, Diana Memorial and Harrods can also be found nearby. Guests can explore the mesmerising Kensington Palace and Gardens, as well as the many shopping opportunities on Kensington High Street. This charming property adds contemporary style to its historical setting. The guest rooms ooze elegance and character. Guests can enjoy a delightful meal in the restaurant, refreshing drinks in the bar, or simply sit back and enjoy the view over the city rooftops. This modern hotel enjoys excellent transport links close to London's key attractions. 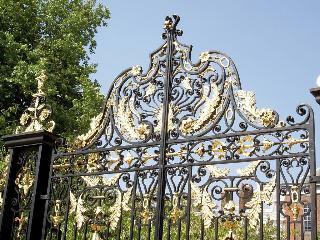 The hotel is located in one of London's most luxurious and beautiful areas within South Kensington. The hotel is a short stroll from the Natural History Museum and brand-name shopping on bustling High Street Kensington. Guests can use the tube to visit top attractions like Buckingham Palace and the London Eye. There are also easy and direct links to some major transport hubs including Victoria, Kings Cross St Pancras, Paddington and Heathrow. Very clean with good location. Full english buffet breakfast is good for shorter stay.